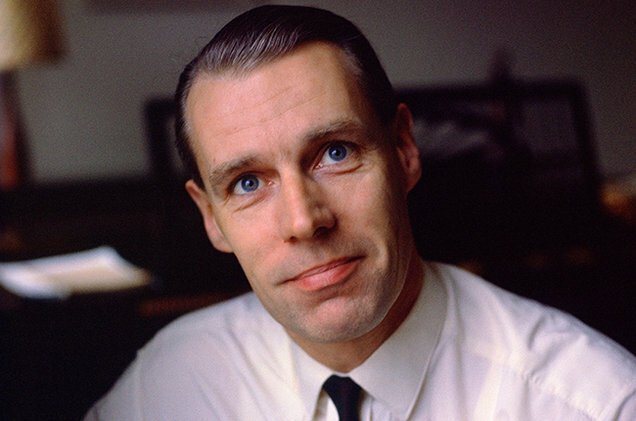 An Englishman born in Highbury, London in 1926, George Martin had a profound passion and interest in music from the age of six, which was influenced by his parents when they bought a piano for their house. He would later work for Electrical Musical Industries, taking role as the head of Parlophone Records and acting as a producer for the label. As a composer, producer, and musician, George Martin became an influential figure in the shape and form of music during the 1960’s. His work, being most popularly associated with helping the rock band group, “The Beatles,” aided in introducing their talent in a groundbreaking manner and them all much critical success. Their image was shaped from being a typical boy band, to being an important and influential group of the rock n’ roll music genre. “Please Please Me” was their first album aided by Martin and exposed them to the aspects of creating music, and the encouragement of their separation from the amateur style they originally used. The group made a transition from writing and recording short songs to experimenting with different combinations of sounds and tape arrangements in the studio. When the Beatles began to have greater access to instruments that allowed for these combinations, Martin expanded upon the sounds that were possible from this grouping, often twisting the recorded tapes to high speeds and playing them backwards or overlaid with new sounds. Martin’s production talents began to achieve new heights when it began to seem as if he was under the hazy atmosphere that the Beatles invoked, bursting of tranquility and novelty. People soon began to admire his techniques and identified uncommon aspects that existed in the recordings, which were characteristic of his ideas and aid with the band. Their universally accepted magnum opus, “Sgt. Pepper’s Lonely Hearts Club Band,” could not have achieved such a seminal and loved status without the help of Martin. In particular, the songs, “Lucy in the Sky with Diamonds” and “A Day in the Life” shaped the way rock and roll was perceived in the public due to their innovative dubs by Martin during mixing. While “Lucy in the Sky with Diamonds” stretched a psychedelic headspace over the public, “A Day in the Life” demonstrated Martin’s composition of the orchestral arrangements that were present in the song, and his premier quality level was evident in nearly every bridge of it. The result of Martin’s sound with the Beatles was not limited to just the band. Artists in the rock genre such as the group “Nirvana,” used similar recording techniques to influence the genre even more, citing Beatles albums specifically. The way production in other genres is ordered is an effect on how Martin very precisely achieved a sound to give the songs more meaning and organization; songs are separated by bridges and bars to allow a specific sound to be heard during that part of the song. It was not just a sense of how a song sounded, but how it was arranged, composed, organized, split, and formulated. Specifically regarding rap and trap music, the process of taking apart a song to add effects and overlays of voices was popularized by Martin and used to great critical success. Producers such as Kanye West and Earl Sweatshirt have used this technique extensively, though, if they may be unaware of its origins in regards to the prime era that Martin created. Martin was therefore one of the greatest producers to have ever lived and his production work will nonetheless continue to impact arising groups and musicians, if they observe his musical bravura.